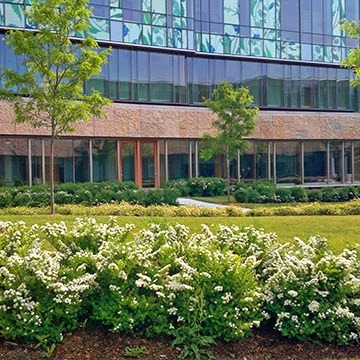 The University of Waterloo is presently considering amending the Memorandum of Agreement to change the way in which faculty members are evaluated. While discussion of student evaluation of teaching abounds in the academic community, faculty performance evaluation has so far received little attention in comparison. In this context, UW brings a substantive but positive proposal to cut performance evaluations for tenured and continuing faculty back to only every other year, and increases the transparency of the review process. Pre-tenure and definite term faculty members will still submit activity reports and receive feedback every year. Evaluating each Faculty member is a very time-consuming exercise; spacing it out to every two years will free up time for both administrators and faculty members to address other pressing issues. The full text of the proposed changes and answers to questions you might have are provided on FAUW’s website. The FAUW board of directors endorses these changes and believes that they are in the best interests of our members. If you’d like to learn more or discuss the proposal with board members, we invite you to a town hall meeting on October 5, so you can make an informed decision before voting. 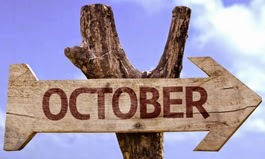 The poll will be open from October 3 to October 14. Learn more about the changes, the town hall, and how to vote. There have been rumours swirling around various places on campus for a year or more that FAUW is finally able to address. These relate to possible instructions from at least one dean to chairs to have the average for service in the annual performance evaluations in any particular department to be no more than 1.25 or ‘good’ (MoA, 13.5.3). The position of FAUW has been consistently that this violates terms and conditions of employment as described in the MoA. Specifically, if the average of only one element of the three most faculty are evaluated upon (i.e., Research, Teaching, Service) is reduced, the consequence is to lower the weighting of that element (to below the 20 percent weighting for service for most faculty members). We have now had confirmed that in fact there is no such directive to lower averages for service. Obviously if anyone still hears from their own chair that service weightings must be lowered overall, please let us know. It often takes time for these kinds of rumours to be dispelled. This is a continuation from Part 1 posted last week. FAUW has received reports that certain peculiarities of the newish Pharmacy building on the corner of King & Victoria in Kitchener have been generating substantial environmental problems for the users of the building. 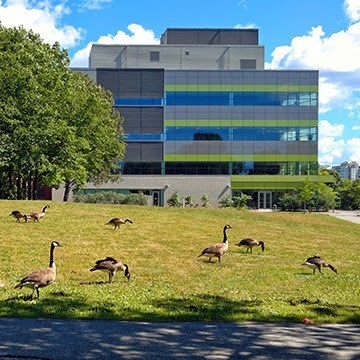 In particular, large teaching laboratories on the King Street side of the building have been experiencing high temperature and humidity levels on hot summer days. Their large windows face roughly north east and would get direct sun in the early morning, especially around the summer solstice. Users of the lab need the full protective gear of safety glasses, long-sleeved lab coats, etc., along with giant fume hoods to whisk away any hazardous vapours. It is possible the HVAC equipment in that part of the building is not sufficient to its task or needs adjustment in view of the exhaust force of the fume hoods. FAUW and colleagues working in the Pharmacy building are working with Plant Ops to find a solution. The Federation of Students has expressed an interest in running a referendum on whether or not to call upon the university to establish a Fall Break, similar to the winter-term Reading Week. Currently, 14 Ontario universities have such a break, leaving only 8 without one (UW included). A Task Force has just produced a report for the Provost detailing the various trade-offs that would be needed for such a break to be established (e.g., some combination of shortening Orientation, allowing exams on December 23, Sunday exams, and other options). The mandate of the task force was simply to gather information about these trade-offs, and to comment on their relative feasibility, rather to make any decisions or formal recommendations about whether or not to go ahead with this idea. The Task Force had good representation from all relevant stakeholder groups, and any moves toward a Fall Break would certainly involve much more extensive consultation of all the relevant parties. Any changes would require formal approval by Senate. Just as the university itself is facing a crisis of continuity, the Faculty Association is also in a similar bind with respect to our staff. We have already bid farewell in early July to Jim Tigwell, our Communications Coordinator and Administrative Assistant, as well as to Carrie Hunting in mid-August, who was our Academic Freedom and Tenure and Policy Officer. Job postings forthcoming. Another Task Force, chaired by Mark Seasons (School of Planning) has been working on revising how UW conducts its in-class instructor evaluations by students. The faculty of mathematics and the faculty of science have been doing some pilot testing of all-electronic course evaluations using a very promising in-house electronic system. FAUW will be paying close attention to who has access to the completed evaluations, their format and content as well as to how they end up being used. a – Surveys: the FAUW Communications Sub-Committee intends to do more intensive polling of our membership on assorted questions of concern during this year. c – ADDS status: the revised ADDS regulations are winding their way through various Faculty Councils before going for approval at Senate. Revisions to the draft FAUW negotiated with grad students and the administration last year is likely to undergo revisions as a result of this process. More as it arises. d – Performance evaluations: The idea of shifting tenured faculty members to a biennial performance evaluation scheme will be considered once again over the course of the year. e – Arts 1.25 for service: This refers to the manner in which standards were set and communicated for assessments on the faculty annual performance (merit) evaluation. It remains unresolved from last year. f – Best practices in graduate supervision: In collaboration with FAUW and the GSO, the Graduate Students’ Association is planning to develop a document setting out best practices in graduate supervision. g – Athletics: We will continue to explore ways of improving our health and wellness facilities on campus in collaboration with the student and staff associations. What is the Merit of Merit? This post owes its origin to a discussion we had both at the last FAUW Board meeting and a subsequent e-mail conversation among Board members. Essentially, the question boils down to asking whether all of the effort expended on the annual assessment of merit for faculty members provides a net benefit of productivity for all the relevant stakeholders: individual faculty members, our university as an institution, and academia writ large? In other words, what purpose does our current scheme of merit evaluations serve? Just a few years ago, FAUW and the university’s administration undertook a review of the faculty evaluation process, and decided to maintain the broad structure of our current scheme of performance evaluations while encouraging department chairs to use “the full dynamic range” of designations from 0 to 2, in 0.25 increments. Data regarding the distribution of merit scores is provided in the appendices to the Work-Life Balance Report that was released earlier this year. Salary increments based on merit are drawn from a different pool of money than the scale increase that FAUW negotiates on its members’ behalf. As we all know, this process of annual merit evaluations involves a substantial amount of effort from faculty members filling in forms and templates every January. As anyone who has been department chair or who has contributed to a departmental evaluation committee knows all too well, those templates and CVs are only the beginning. An unquantified number of very expensive hours gets invested annually in the evaluating, assessing, comparing and ranking of these materials once submitted, and the resulting evaluation rankings get yet another round of assessment and vetting at the various Deans’ offices across campus. As one might expect under circumstances where professionals are judged against each other, considerations of fairness on the one hand, and of inevitable professional jealousy on the other, create fertile ground for the questioning of the resulting evaluations. A member must determine whether s/he has the wherewithal to challenge the chair’s decision, perhaps as far as an appeal to the Dean, and such an appeal would involve an investment of working hours for all concerned, faculty, academic administrators and staff. In addition to these resource-consuming mechanisms mandated by policy and the Memorandum of Agreement, there is also the human angle of productivity loss due to the mental anguish that fretting over this forest of procedures causes. Considering all of the above, does the net difference between an evaluation score of 1.5 vs. 1.75 on a professor’s salary justify the investment of human capital into all the mechanisms described above? In a nutshell, it would seem that never has so much time been invested for the sake of so small a net difference. If one compounds that difference over a professor’s whole career, the differences do add up. Annual performance evaluations are essential for a university with high aspirations. They serve the role of both carrot and stick. In principle, they reward those faculty members who, by virtue of having more talent or working harder, accomplish more as teachers, researchers and administrative colleagues. These people expect and deserve better raises in recognition of their accomplishments. should be making strong contributions as researchers, teachers and administrative colleagues. Despite what we like to believe about ourselves, we are not solely driven from within to be good professors. We need help from knowing that some sort of annual accounting has to be provided. No system of performance evaluation can be perfect. Given our human nature, a perfect system for doing such business is not possible. All that an institution can do is try its best, and continue to seek improvements towards fair outcomes. But “fair” is a tough target to hit in this endeavor, and there is no getting around it.